Mount Prospect Officer Larry Rosenbarski, age 58, died unexpectedly Saturday after suffering a significant medical event at his home, Police Chief Tim Janowick said. Rosenbarski served as a patrol officer in the police beat just south of downtown Mount Prospect, served on the police pension board, and was treasurer for the patrol officers’ union. 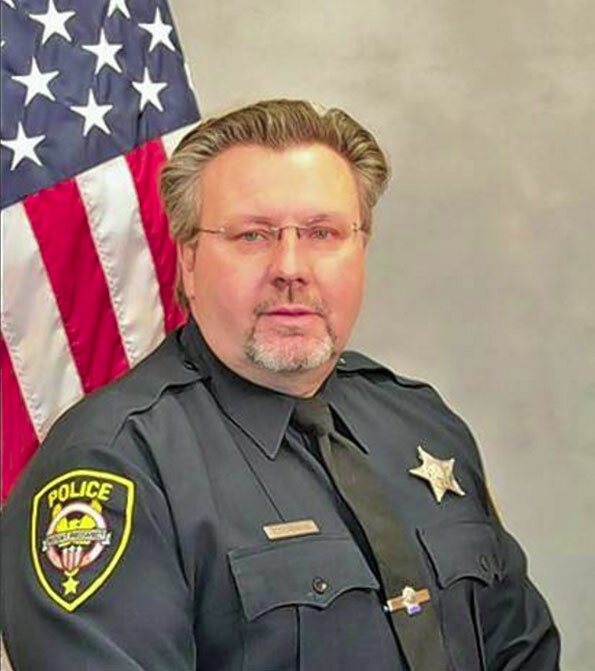 Rosenbarski was 39-years-old when he joined the Mount Prospect Police Department in 1998. Officer Rosenbarski was hired at the highest age of any first-time officer in Mount Prospect, when a temporary break in Illinois state law relaxed the limitation of any police department’s hiring of a police officer over the age of 35 as a new officer. Currently, experienced police officers are permitted to transfer from one police department to another at a higher age, but no aspiring police officers without experience on another police department can be hired over age 35. “He was very dedicated to his job. He had great pride in being a police officer. He felt a calling in his 30s … [and the Mount Prospect Police Department] was very fortunate that the [minimum age] law changed for [a] period of time, allowing him to join us,” Mount Prospect Police Chief Tim Janowick told Daily Herald reporter Charles Keeshan. Rosenbarski’s financial knowledge that he learned from his business career augmented his abilities to interact with the local business community, according to Janowick. Mount Prospect police officers will be wearing mourning shrouds over their badges in honor of Rosenbarski. Also, patrol car P-14, Rosenbarski’s assigned vehicle, will be taken out of service this week and placed at the front entrance of the police station until his funeral. Rosenbarski is survived by his wife and a stepdaughter, Janowick said. Funeral arrangements are pending. Mount Prospect Police Officer Larry Rosenbarski (Mount Prospect Police Department photo).